Our Custom Valentine Blanket is a thoughtful, personal gift idea. Our Personalized Photo Blanket will feature your Favorite Photo(s) and Family Name with Date Established (if name/date is desired or any other text). 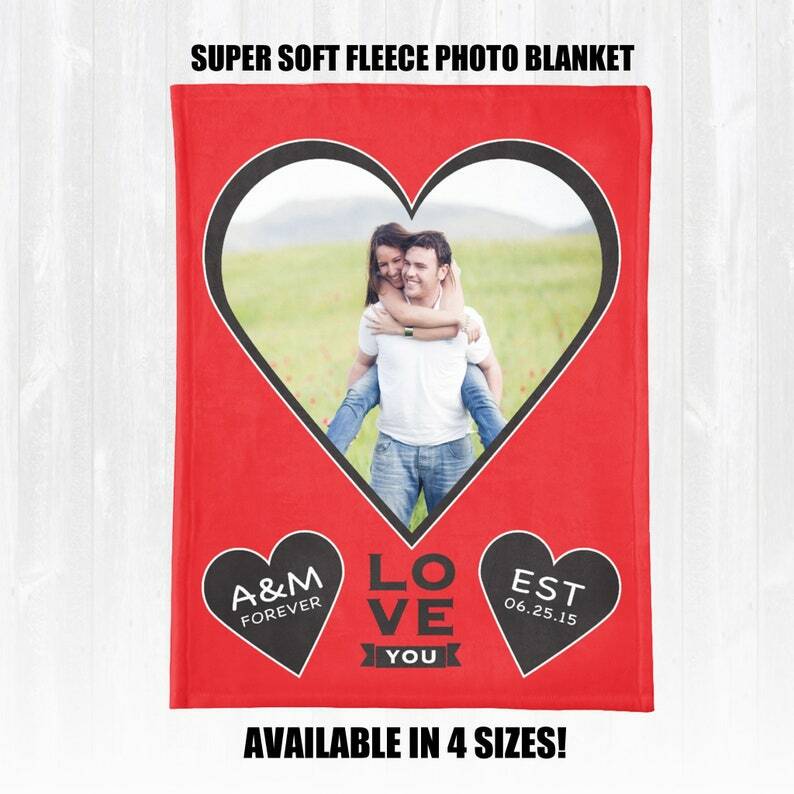 This Blanket can be customized with 1 photo or several photos and with or without Name & Date. ❤️ ORDER BY JANUARY 28TH FOR VALENTINE'S DAY DELIVERY WITH STANDARD SHIPPING ❤️ EXPEDITED SHIPPING and PROCESSING is available for orders placed after 1/28 message us for prices!